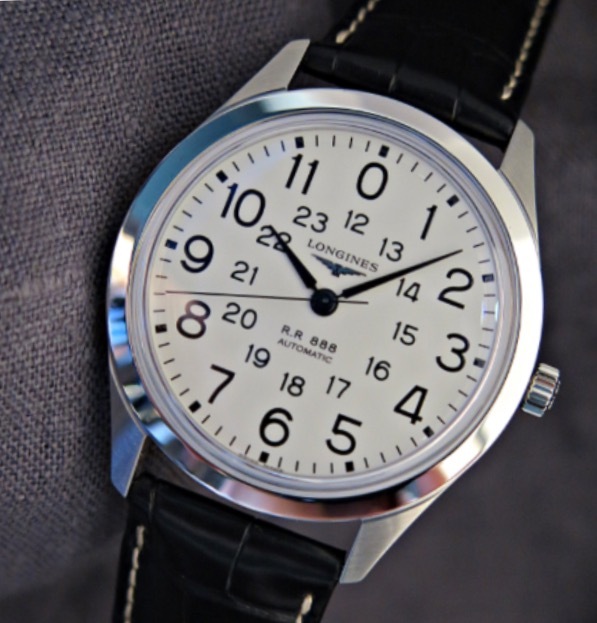 Longines Railroad: 40mm stainless steel, automatic movement. Runs great, no issues. Close to LNIB (95%) condition. Includes original box, papers, warranty from authorized dealer. Strap and buckle are just about brand new (slight crease in strap is from being on watch box display band). Strap is genuine alligator. Priced at $1,025.